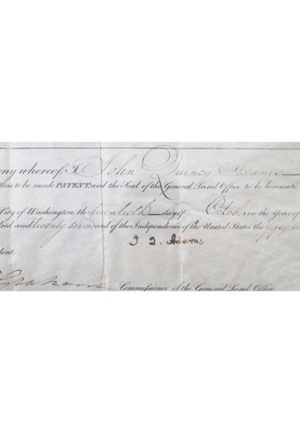 Offered are two land grants from 1827 signed by the 6th President of the United States, John Quincy Adams. 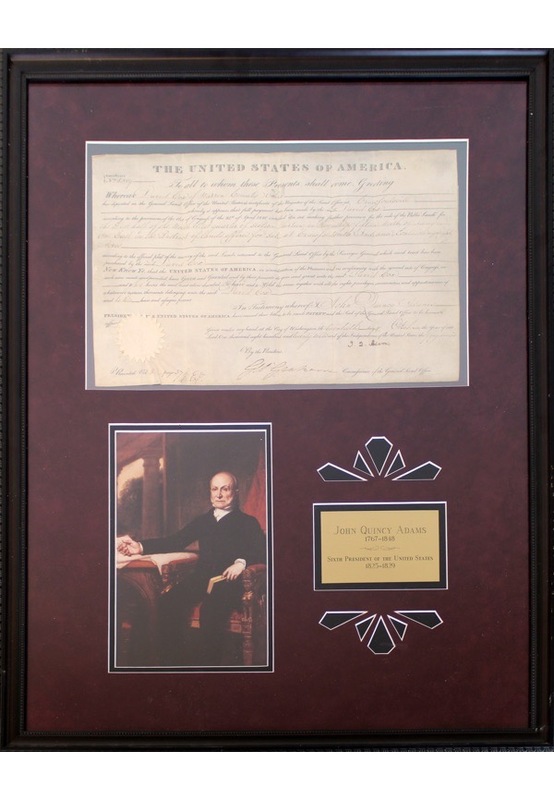 One piece is framed with a picture of the President and accompanying nameplate. Both are dated in the year 1827 with the President signing the bottom in black ink simply as “J. 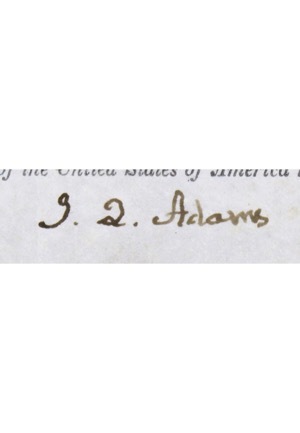 Q. Adams” and in our opinion the signatures rate a combined 8 with vintage aging present. Minor creasing and appropriate fading of the writing is seen in the documents. Accompanied by a LOA from JSA.